A child’s bedroom is usually a messy bedroom. Scattered toys on the floor, clothes strewn anywhere but in the wardrobe and an assortment of random shoes dumped here, there and everywhere – none of which make a pair. To see the bedroom you so lovingly put together turn into a jumbled heap on a daily basis, can be very annoying! You’ve gone from tidying up each day, to simply closing the door instead. Out of sight out of mind. There is another way to deal with your child’s penchant for mess however. 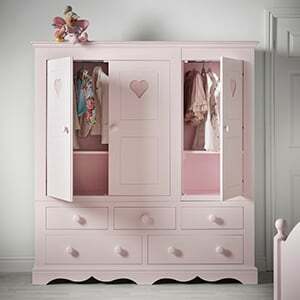 Having children’s furniture which contains storage that is easily accessible could make all.. 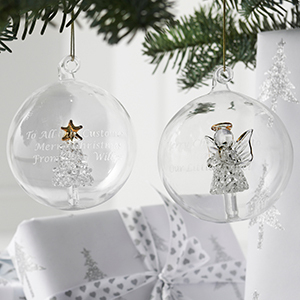 This November we are offering you a chance to win £75.00 worth of Little Lucy Willow accessories, gifts, decor or bedding. Just in time for Christmas! Here are a few examples of what could be in store for you to win. 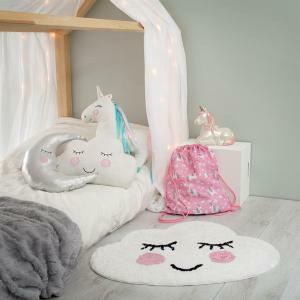 Gifts Unicorn Money Box £15.00 Hamish the Pull Along Dog £24.99 Magical Colour Changing Umbrellas £9.99 Personalised Gifts Teddy Pink Message Bear £16.99 Ballerina Compact Mirror £14.99 Personalised Kitten Soft Fleece Blanket £32.95 (Depending how many letters you use) Childrens Bedroom Decor Cutie Cat Night Light £13.00 ..
Children are the biggest hoarders of all. Their piles of toys, books and bears grows along with them for those first few years at least. Most of this paraphernalia may lie untouched for months but woe betide the brave warrior who tries to remove any it! Cue plenty of tears. And don’t even mention the clothes… So if you can’t sneak out the surplus under the cover of darkness what’s the solution? Maximise your storage of course! 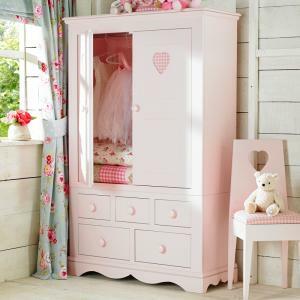 At Little Lucy Willow we know just how essential it is to make sure your children’s furniture is practical as well as stunning with great storage options f.. Furnishing a child’s bedroom can be fun and exciting, with so many colours, themes and fabrics to choose from. But unless you have endless pots of money - and time - to continually update the décor and furniture, you may want to think carefully before embarking on a huge ‘princess’ project. As boring as it may sound to your child, it makes financial sense to try and create a room that won’t date too quickly. This doesn’t make your task any easier however. It requires extremely careful planning and coordination to bring all elements of your vision together in an effective and interesting way.. 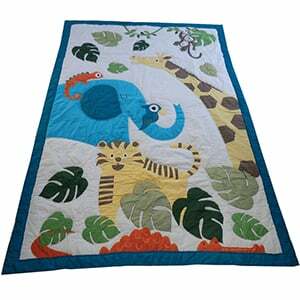 Win a Jungle Quilted Bedspread this October! Enter our competition and create a jungle paradise for your childs imagination to run wild with one of our Jungle Bedspreads. To find out how to enter scroll down. It's easy! All you have to do is comment below who you would give this as a gift to and why. The winner will be announced on our social media at the begining of November, so add us on facebook and twitter. .. Babies love to sleep. Unfortunately for new mums and dads however, this doesn’t always mean through the night! Thankfully our little ones make up their quota of sleep through much-needed naps – and plenty of them. These regular snippets of sleep are a necessary part of every baby’s routine. Not only do they provide some essential downtime from all that feeding and wriggling around, they allow a little respite for mums and dads too. So instead of feeling guilty for sneaking in a few afternoon z’s on the sofa, make sure you listen to your body and prioritise napping alongside your chil..
At Little Lucy Willow we strive to give our customers exactly what they want without straying too far from our strong brand values. So whenever we decide to launch a new exclusive collection it has to conform to our mantra - timeless, stunning and built to last. The gorgeous Little Gustav Collection ticks all those boxes and more, bringing a new dimension to our range of luxury children’s furniture. With simplistic lines incorporating intricate carvings, Gustavian style is both simple and striking. 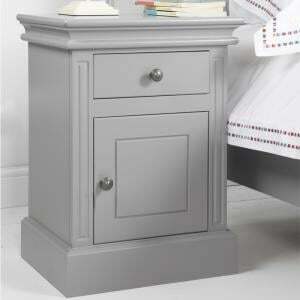 The story of Gustavian furniture… This genre of furniture has decidedly r.. Win a paisley girls single quilt this September! 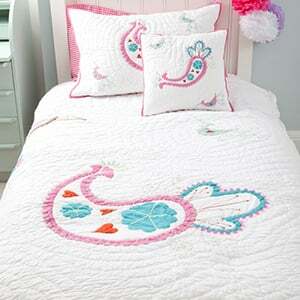 Enter our competition and create a stunning bedroom for your child with one of our paisley single girls bedspreads. To find out how to enter scroll down. It's easy! How To Enter All you have to do is comment below who you would give this as a gift to and why. The winner will be announced on our social media at the begining of October, so add us on facebook and twitter. Good luck! .. Win a Smiling Cloud Rug! To celebrate some of the exciting new products we have in stock we are giving you a chance to win one of our brand new Small Smiling Cloud Rugs. All you have to do is comment below with who the rug is for and why they deserve to win. We will announce the winner on our twitter and facebook in the beginning of September and will post it out straight away. So remember to follow and like us on our social media as we will not have contact details to get in touch with the winner. Good luck! ..
Making beds isn’t difficult. It’s just one more job that needs to be done - and the earlier each day, the better. 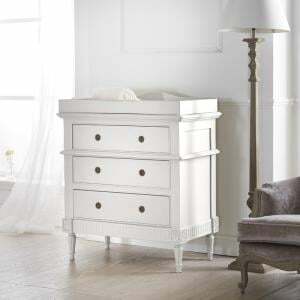 However, the simplicity of bed making renders it the type of activity that can help promote independence in a child and as such, is often the first ‘chore’ they will learn. The smallest achievements can mean a lot to a child, especially when they come with heaps of praise and a huge sense of pride as a result! Many children savour such attention and will jump at the chance of impressing their parents with a neatly made bed, while others may flatly refuse to have a go. S.. Tips for a stress-free bedtime – for you and your child! Bedtime. 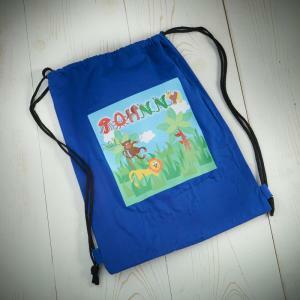 An hour in the evening that is often cherished by parents, thanks to sleepy heads, cosy cuddles and ultimately…. peace! In theory, bedtime should be a lovely, relaxing affair. Bath and bubbles, a story or two then a few minutes to watch your little one drift off into the land of nod. And pigs might fly I hear you mutter! It’s certainly true that for some parents bedtime is a breeze. For others however, it lingers in the mind all day long in anticipation of a complete and utter disaster – yet again. If you happen to fall into the latter bracket and need a nudge to get thin..
Why is it an issue? A child’s bedroom usually has more clutter, clothes and knick-knacks than any other area of the home. So much so, it can often look like the local car boot sale has taken up residence. It’s so easy to close the door on such chaos and hope that the cleaning fairy will wave her magic wand in your absence. However, seeing as that isn’t likely to happen any time soon, perhaps it might be wise to look at how you can maximise space and storage in your child’s bedroom instead! How much space do you have? The size and shape of your available space is key to d..
Sleep is our saviour. It’s the silent tonic, our rest and repair. As adults we are slaves to a good night’s sleep and those of us who aren’t lucky enough to always enjoy such a luxury will stop at nothing until we do! So if we are so obsessed with the idea of uninterrupted slumber, knowing exactly how the lack of sleep affects our mood, energy levels and performance, spare a thought for our growing children. They have developing minds and bodies to cope with not to mention school work, extracurricular activities and any other ‘life pressures’ that little ones so often feel but can’t articul..